The Community West Foundation funded NEOCH to provide increased training to outreach teams both volunteer programs as well as the full time homeless social service providers. 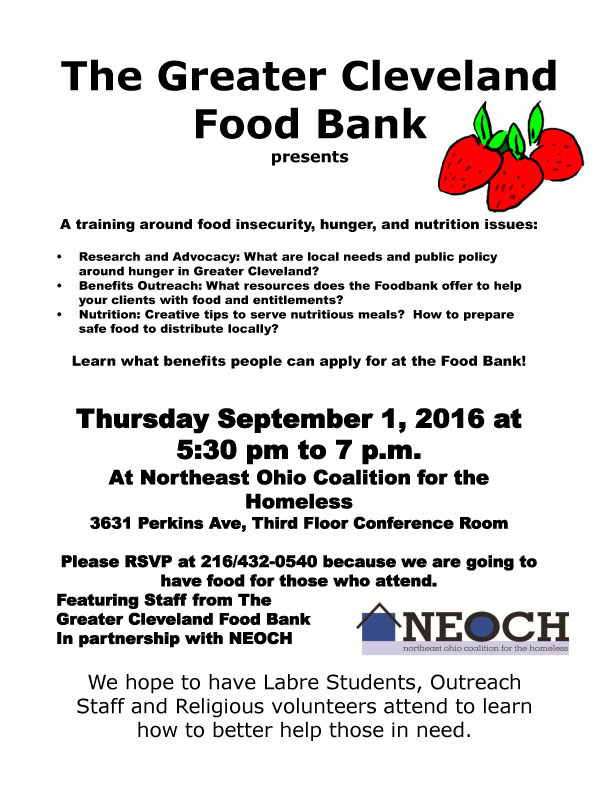 The second Teach In for the group is September 1 at 5:30 p.m. and will be provided by the Greater Cleveland Food Bank locally. This is the premiere food program in the United States, and they will provide public policy updates, safe preparation of food, and some of the benefit programs available through the Food Bank. We need you to RSVP in order to secure your slot since we have a limited space. We will post a copy of the flyer in the near future. Here is a flyer to print out and distribute to others.